I know my posting has been sporadic at best, lately, but I've happily been keeping busy doing, living, working, enjoying... It is summer, after all! It's been fun! In the back and forth, the work and play, the home and away, having a do-it-all bag has proven essential. Such a bag is tough to come by. They all sort of suited their individual needs well enough... even if they didn't all have satisfactory organizational interiors and my items ended up a mess inside. Then, a greater problem arose when I needed more than one. I was a bag lady! It sort of worked, but hardly well. Now, if I'm setting out for the day--or the weekend--and need to carry a bit of everything, I can rely on one bag to fit and organize (!) it all. In my recent gym trips, bus travels, and beyond, I'm glad to have something that has made all situations more manageable: my Tech Pack. Its official description paints the Tech Pack as "the versatile, do-whatever-you-need-it-to backpack," and having used it for a few months now, I couldn't phrase it any better myself. 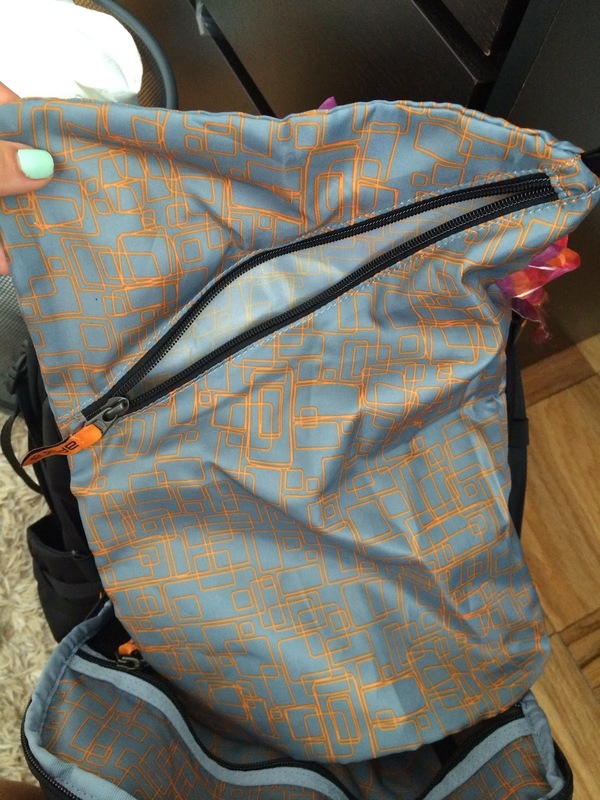 The Tech Pack transitions seamlessly from work to the gym to class and more. 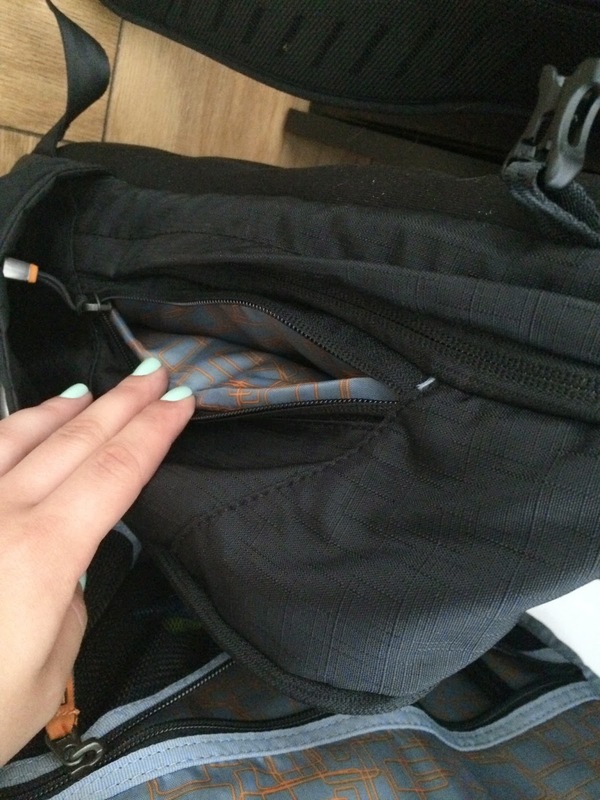 My old gym bags undoubtedly accumulated more germs than I care to think about, and I cringed every time I put fresh clothing into the same space previously occupied by my sweaty attire. Apera's antimicrobial material will help put my mind at ease. 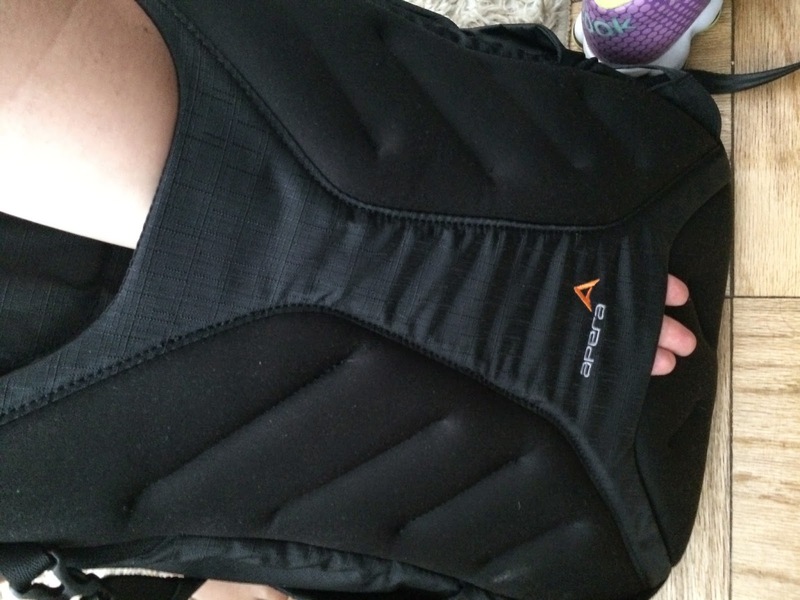 The antimicrobial protection resists odor, the vented pockets will allow air to flow, and the wipeable lining and separate washable insert will make cleaning it a breeze. 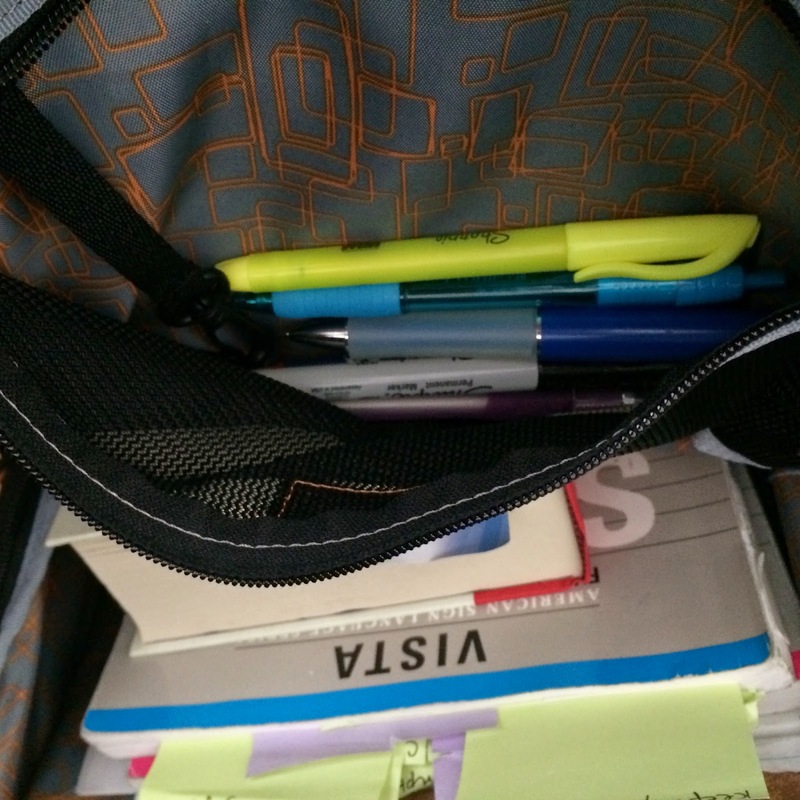 It's nice to know that my bag help can keep itself--and its contents--clean, whether at to the gym, the library, or the train. It has side pockets, just the right size for shoes--sneakers or heels! It comes with a separate washable bag to stash wet or dirty clothes or shoes. 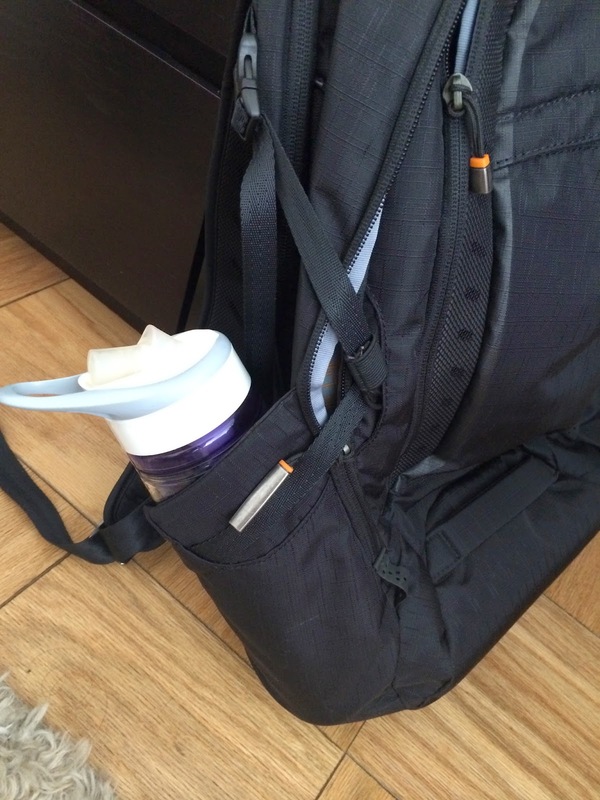 It's got a deep water bottle holster on each side, and grip-like straps that prevent sliding on your shoulders. No falling out or sliding off! Something neat that I've never seen before is the extra handle on the bottom that allows you to pick up the Tech Pack from either end (or both!) as needed for a heavy load. 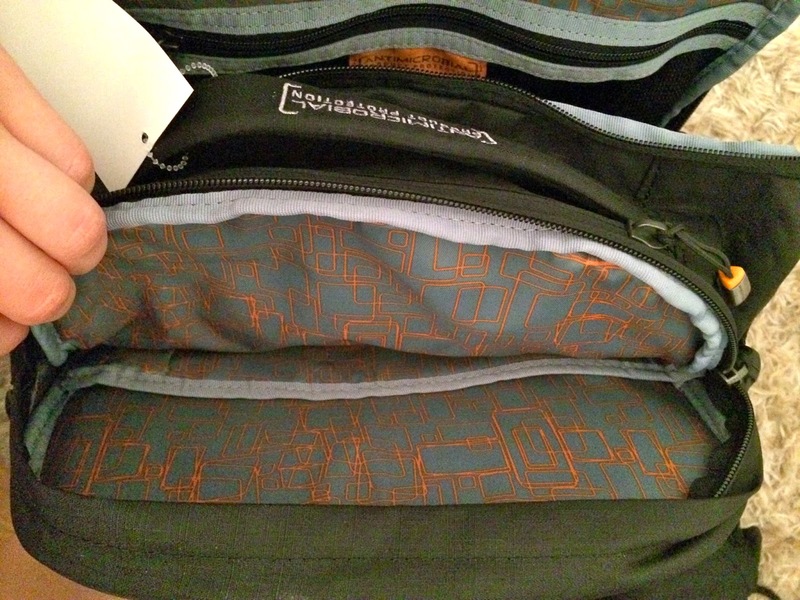 And, if you're traveling, there's also sleeve that secures the bag right over the handle of your suitcase! 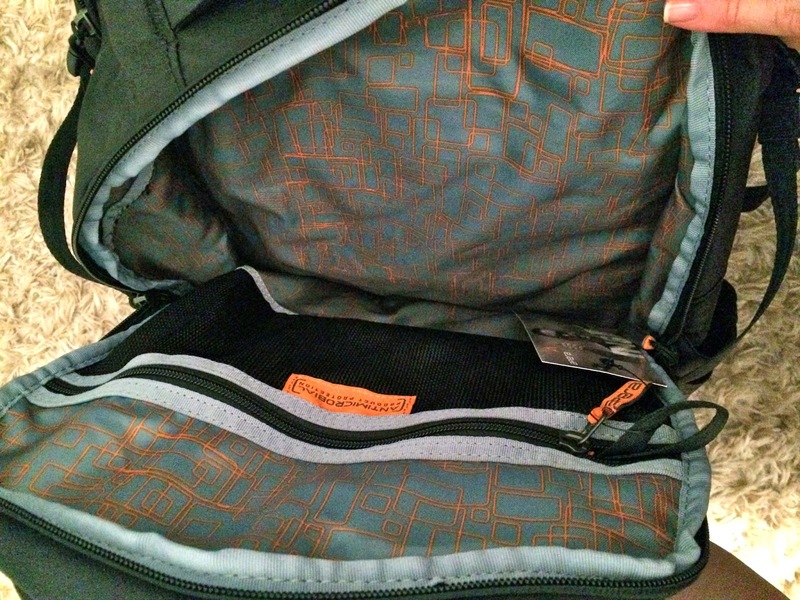 ...while the hidden back pockets and padded interior dividers protect those things I want inaccessible. These pockets are one reason I feel safe carrying this on my back, even around New York City. 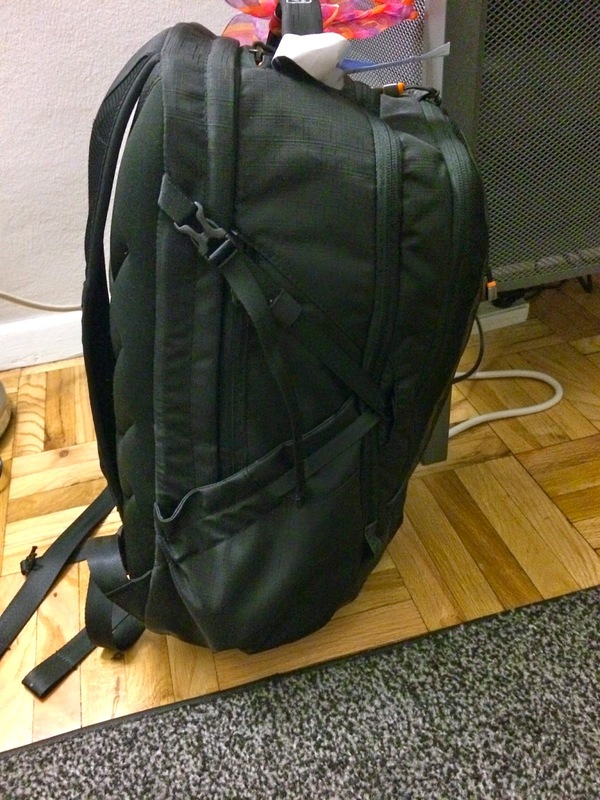 I have my old school backpack, but I never wear that around the city for fear of pickpockets. 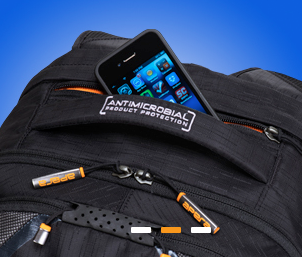 The Apera Tech Pack, however, has pockets designed to keep your valuables temporarily out of reach. The bag comes in 3 color options, but I like the black because it maintains a professional appearance. 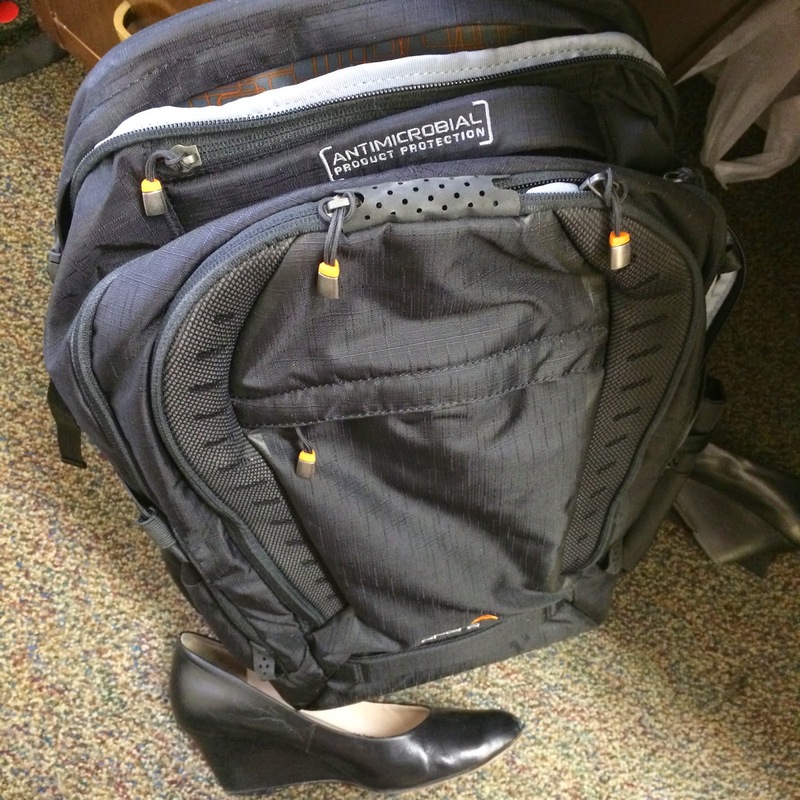 Several times, now, I've brought the Tech Pack to work, stashing heels in the shoe-size pockets, my iPad in the padded pocket, and stacks of books in the main interior. 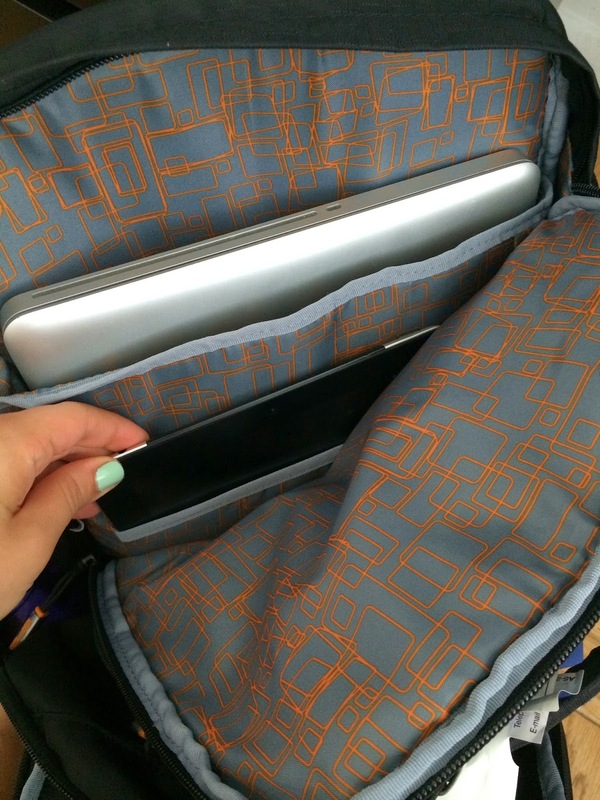 Large mesh pocket for pencils, chargers, jewelry, anything! It packs so much, yet is so ligh on its own. Finally, a bag that doesn't add its own weight. As the ultimate test, I recently packed the Tech Pack as my ONLY "luggage" on a recent weekend trip to Philadelphia. I was impressed how the slim bag expanded to fit my needs. Instead of the books and electronics shown above, I filled the Tech Pack with--yes, my iPad--but mostly clothing, shoes, and my travel toiletries. Using this backpack left my hands free to manage bus tickets and my phone. It balanced its weight across both my shoulders, unlike the weekender I used to use that left one side aching after five minutes. It made the trip easy and comfortable. 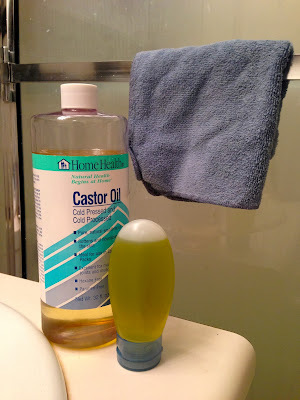 Further, I never had to worry about my toiletries spilling onto my clothes (they were in separate zippers) or into my bag (easy clean material! No worries!). Bonus: while living out of my bag for the weekend, I wasn't left wondering where things were or digging under piles of stuff to get the one thing I need. The pockets, zippers, and compartments ensured that everything had its place, and nothing got lost or became messy. 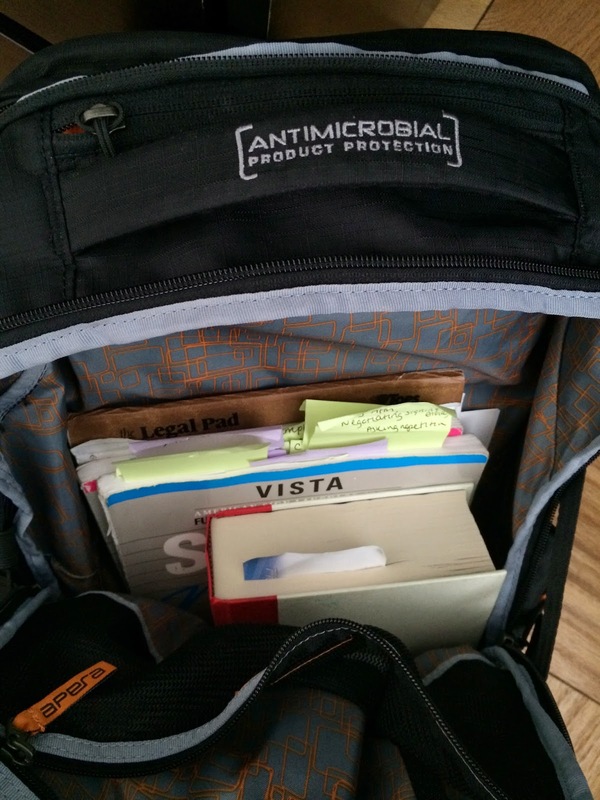 Like other Apera bags, the Tech Pack helps you keep your items organized and clean. Having a clean bag is a must, especially in the city, and even moreso when frequenting less-than-clean public gyms and locker rooms. That's one reason why their Performance Duffel, Yoga Tote, and other gym bags--all made with the same antimicrobial product protection--are so popular! I had no idea how great this "backpack" would be until I tried it, myself. Now, I can't imagine another comparing! In fact, I'm going to load it up right now with my work books and my gym clothes so I can have a productive day without needing to stop back home. Do you keep your gym bag clean? How do you pack for a full day out and about? Dislaimer: While I was given the Tech Pack free of charge from an Apera representative, the company in no way required, scripted, or edited the above post. The thoughts expressed are 100% my own. For more information, see my disclaimer page.